Dr. Jones was born and raised in Utah. She gets her love of animals from her dad who worked as a wildlife biologist for the state. She attended and graduated from Utah State University and received her bachelor degree in 2003. She was then accepted to Colorado State University and graduated in 2007. She practiced at a mixed animal clinic in Bosque Farms, NM for four great years. She really enjoyed the challenges associated with practicing with large and small animals. When she isn’t focused on veterinary medicine she enjoys the outdoors, camping and hiking . She is fully commited to her eight year old Australian Shepherd “Doc” who is thoroughly spoiled rotten. Dr. Fuller was born in Albuquerque, NM and grew up on a ranch in Mountainair, NM. Working with livestock and then later with the family veterinarian led him to his professional interest in veterinary medicine. 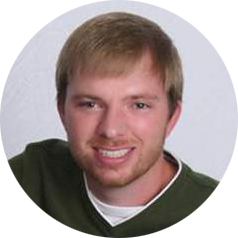 He graduated from Eastern New Mexico University with a bachelor degree in biology and then again with his doctor of veterinary medicine in 2007 from Colorado State University. After graduating he joined a busy three doctor practice in Albuquerque, NM where he enjoyed surgery, internal medicine and client education. In his downtime he enjoys camping, auto repair and gaming. He moved to Plano, TX to open Advanced Vet Care with Dr. Jones. He is very excited about the move to Plano and is eager to meet the members in your family. Sarah was born and raised in California and moved to Texas in 2006. She developed early on a great passion for animals and as soon as she was able to she got a job at a pet hotel to tend to dogs and cats. She was often found to be sitting inside kennels with scared dogs and to just hold them, talk to them and love on them. After she finished her Associate Degree she decided to challenge her fear of blood and continued her education striving to work with animals. She attended Cedar Valley College and received an Associate Degree in Veterinary Technology. 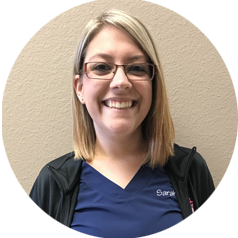 She started working for Dr. Fuller and Dr. Jones in 2014 as a Veterinary Technician and in the meantime has moved into the position as the Practice Manager. 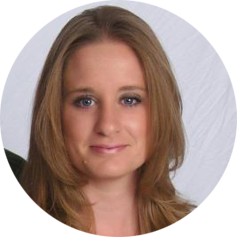 Sarah loves AVCP and all their clients and considers it her second home. Sarah loves her super sweet 13-year old dog, Bella, who is a chocolate lab mix and her feisty cat, Sushi.